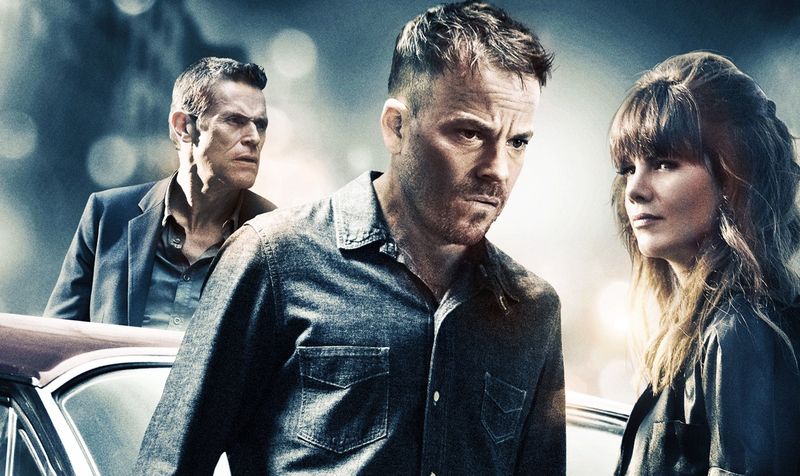 One of our most anticipated features of this year is the upcoming, Tomorrow You're Gone starring Stephen Dorff, Willem Dafoe and Michelle Monaghan. Tomorrow You're Gone follows Charlie Rankin (Dorff) a man recently released from prison who sets out to pay a debt for his jailhouse mentor, The Buddha (Dafoe). Rankin soon gets assigned to kill one of The Buddha's enemies, however, lost soul, Florence Jane (Monaghan) complicates the situation. The film looks set to boast some brooding direction from David Jacobson - looking like a stellar slice of modern neo-noir. The trailer seems somewhere between arthouse noir and action-thriller, so we are fascinated to see how the end product turns out. Let's not forget, Stephen Dorff leads the cast, so needless to say it's going to be a bit amazing. Tomorrow You're Gone arrives on DVD/BR in the US on the 14th May 2013 with a UK release to follow.